Burning Plow’s Pastor Vincent lives near the Valentine Growers plantation near Nairobi. The plantation trades in long stemed roses, tea and coffee on a large scale. Once a week, around 4:30 pm, Vincent meets with the guards before their shift beings. The security guards hold a special place in his heart because he once worked as a guard himself. 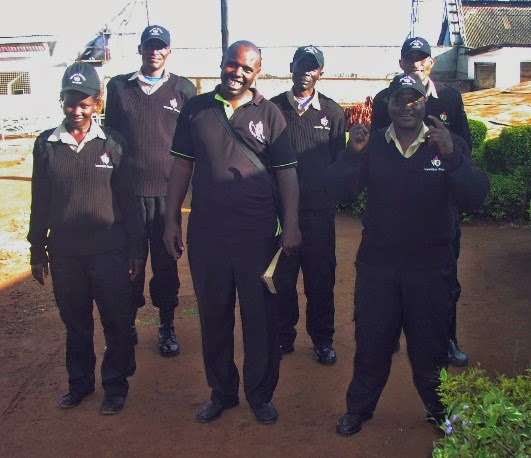 Please pray for the safety of this team of guards. Some of them do not have a Bible and they need more discipleship. Pray also for Vincent as he seeks to reach out to those who need Jesus around him. We are so proud that he does this as his personal outreach. We are privileged to work alongside Kenyans who are serving God!